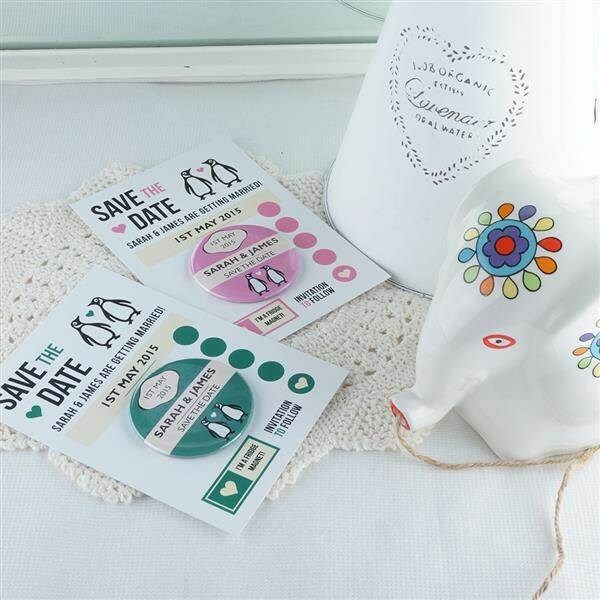 For our Misfit Of The Month feature this month we're going to take a look at some fantastic wedding stationery which will add some personality to your wedding plans right from the get go. So who's the brains behind the operation? Hello! 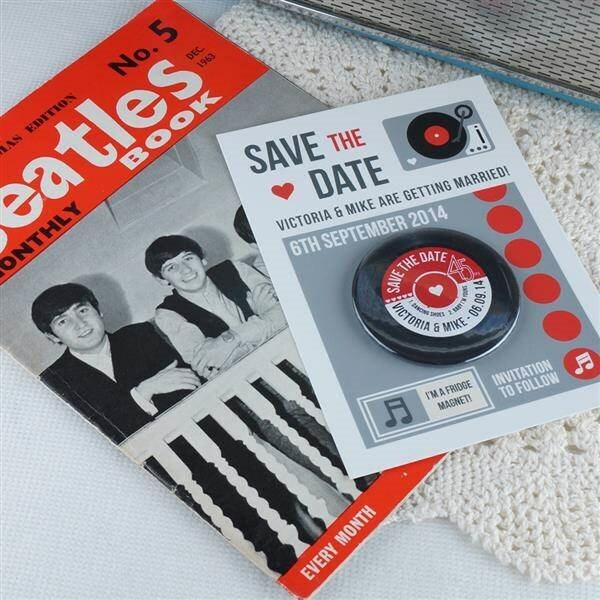 My name is Gemma, and I run Love Me Do Designs, making wedding & occasion stationery. 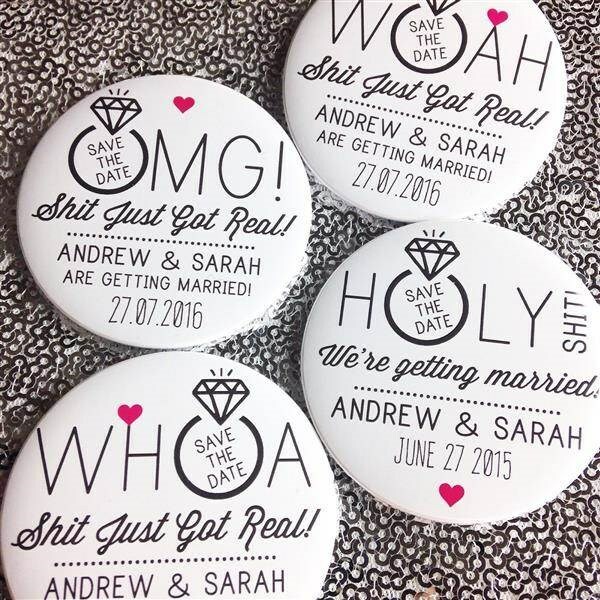 Quirky Save The Date magnets. How long have you been making these items? I have been doing this since 2007, when I volunteered myself to make all the stationery for my brother's wedding. Unfortunately, the marriage didn't last (eek! ), but my enthusiasm for creating "weddingy" things certainly did, and with a few more family & friend's weddings under my belt over the next few years, I "officially" set up Love Me Do Designs in 2012. 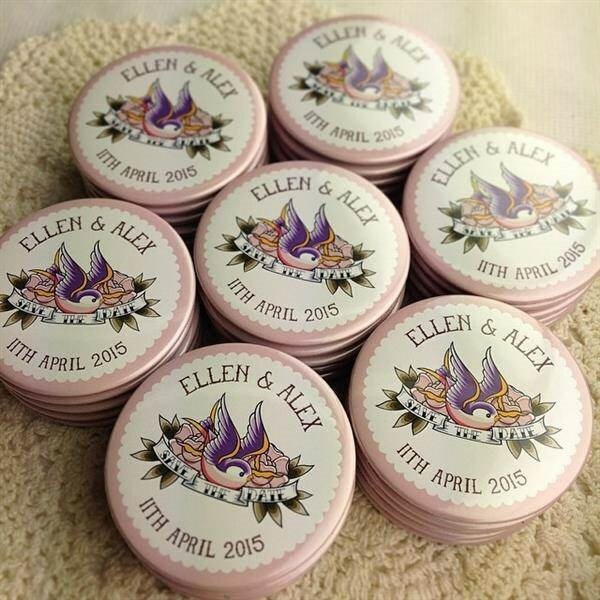 Swallow tattoo design Save The Date magnets. 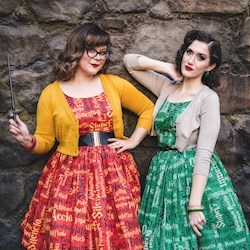 What kind of products can people order from Love Me Do Designs? 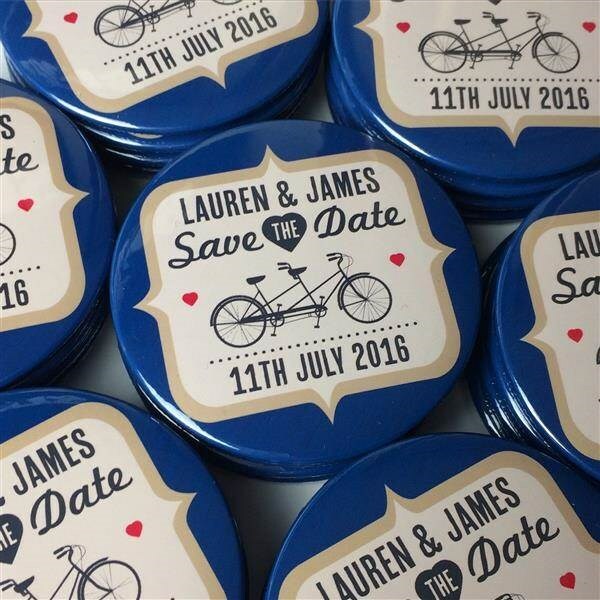 Wedding & occasion stationery with a quirky twist! A number of our designs have a vintage or retro feel, and cover themes such as music/ vinyl, VW campervans, Penguin books, Lego, comic books, and many more! 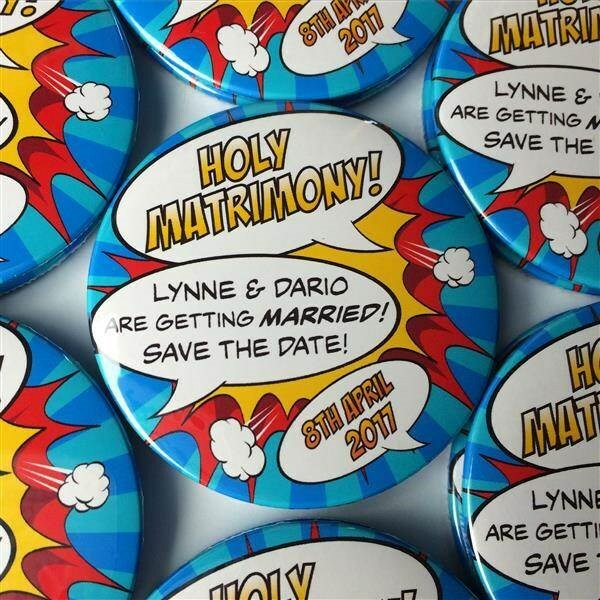 Comic book themes Save The Date magnets. I also used to work for a large video games company, so I love creating designs around gaming themes too (any excuse to geek out, and I'm all over it!). 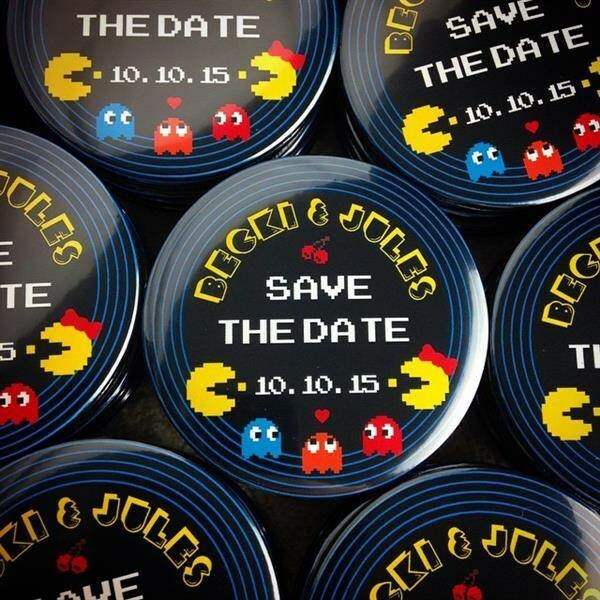 Pacman retro gamer Save The Date magnets. 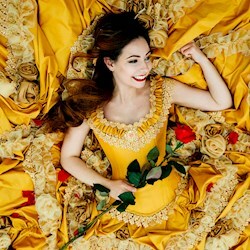 Do you have any favourite designs? 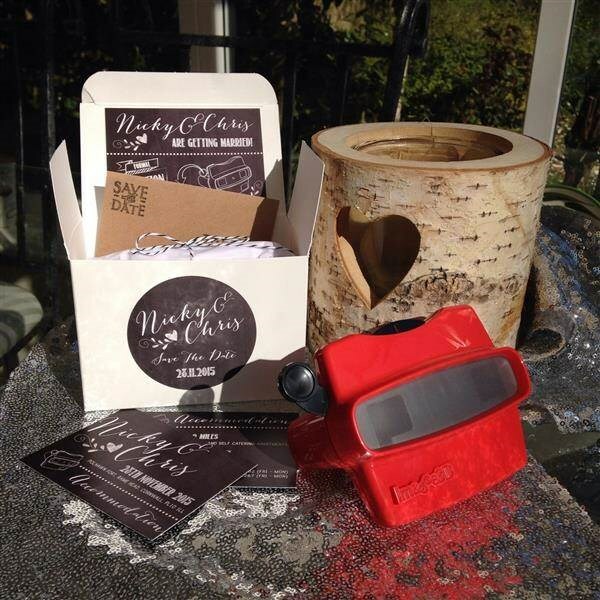 I think one of my favourites has to be the retro "Viewmaster" invitations/save the dates. The custom photo reel leaves room for couples to get super creative, and I love seeing the photos that they've come up with when they send them across to me. They also always get an amazing reaction from guests! 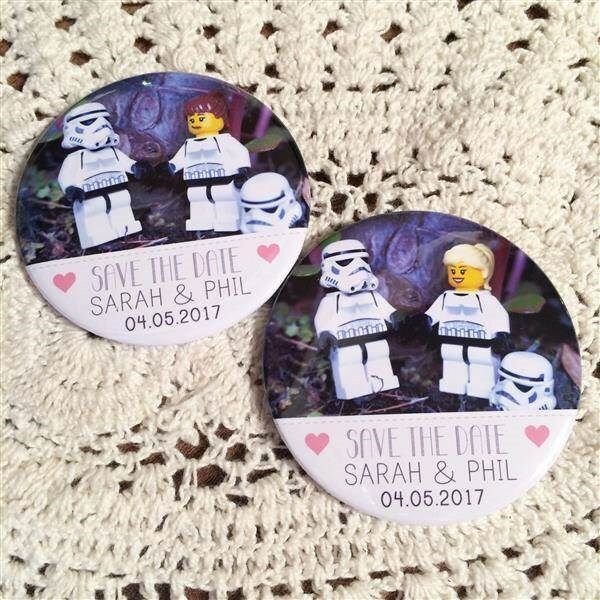 If you want to get people talking about your wedding, they are definitely the invite for you! Which of your designs are the most popular? At the moment I would say that the vinyl record inspired designs, and "Penguin Classics" book inspired designs are the most popular. 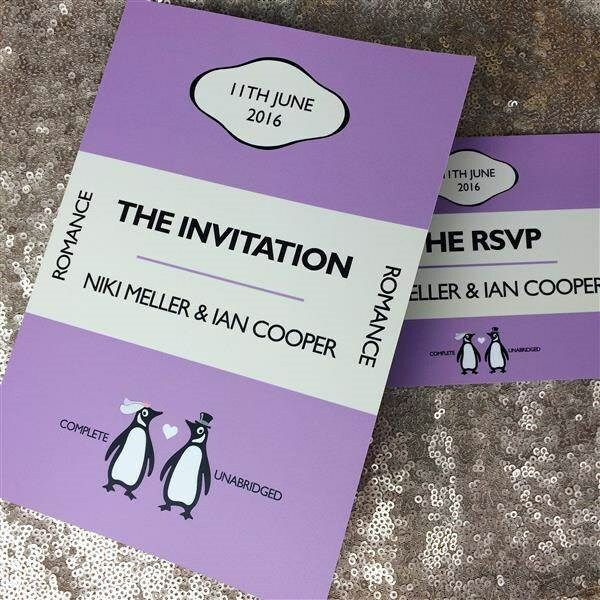 Penguin Classics book themed wedding invitations. Can you create custom designs based on the customer's suggestions? Whatever ideas you have, Gemma can help you out! How far in advance do people need to order? It really depends on what they are ordering, and whether it is a custom design or not, but for just an average size order, of an "off the peg" design, I generally advise allowing at least 2-3 weeks just to be on the safe side. 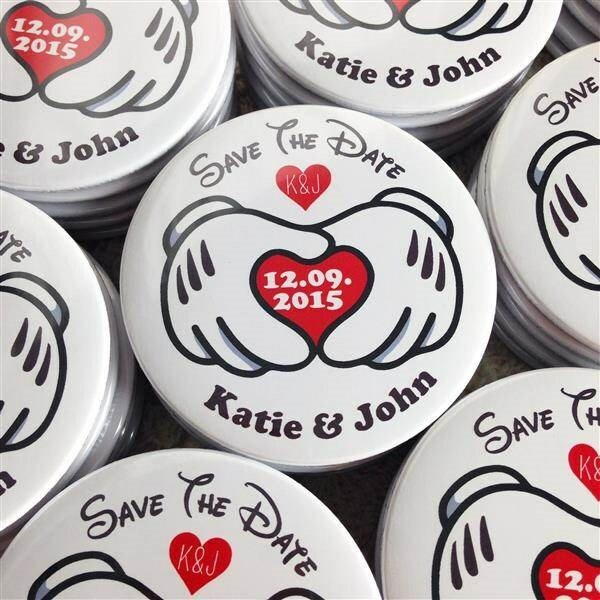 More cute Save The Date fridge magnets! What’s the most unusual theme you’ve worked on? 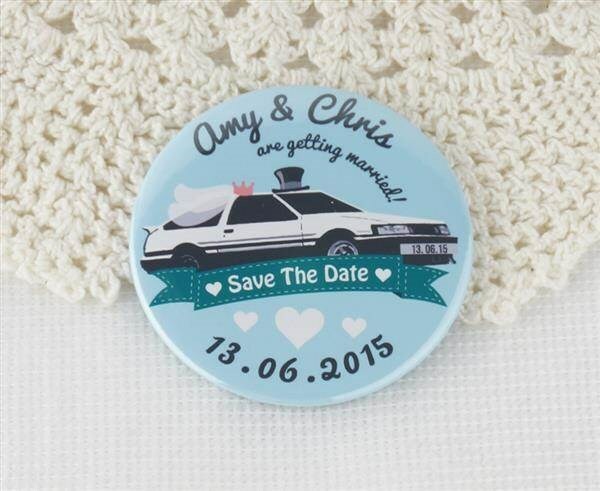 I once had someone ask for save the date magnets that featured a Toyota AE86...(so fairly specific!) I had absolutely no idea what they were talking about (cars are not my strong point!) but I was really pleased with how the final design turned out. I always like a challenge! What makes Love Me Do Designs stand out from the crowd? 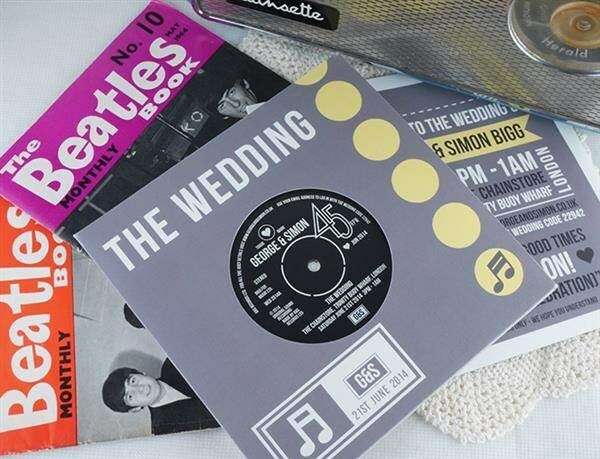 I think one of the main areas Love Me Do Designs stands out, is when it comes to any of our vinyl record inspired designs. My partner deals in collectable vinyl, and I have co-run his business with him since January 2010, so if there is one thing I know about, it's records! I always try and stay true to original label designs, and I never, EVER put text on the grooved area (my pet hate! ), it all stays on the label, because to be honest, I am quite OCD about things like that! 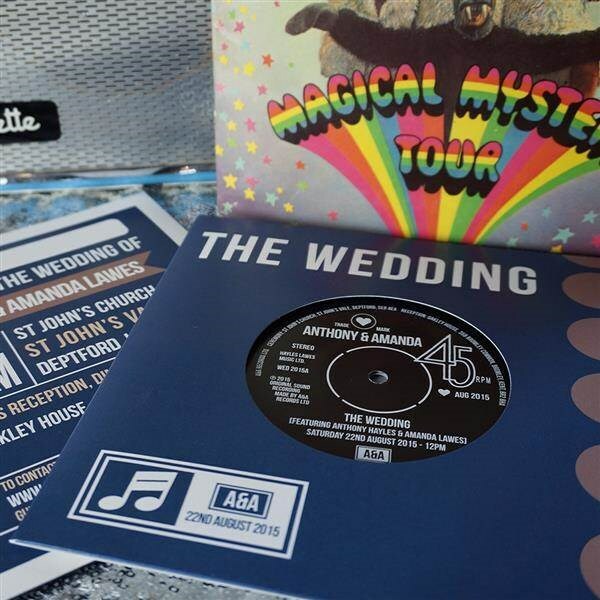 This also means that when it comes to our real 7" vinyl record invitations, I not only have a vast store of records to choose from, I also am incredibly fussy about the quality of the records I use. If it's scratched, I won't touch it! I'm a perfectionist, and would never send out anything I wasn't happy with, so they can expect to receive something that I have put all my energy into, to make sure they are delighted with their stationery. I like to think that the feedback on my Etsy store is a refection of that. 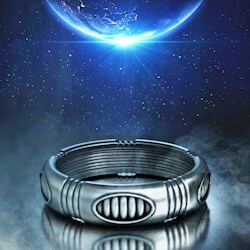 You can even have a Lego Star Wars theme! 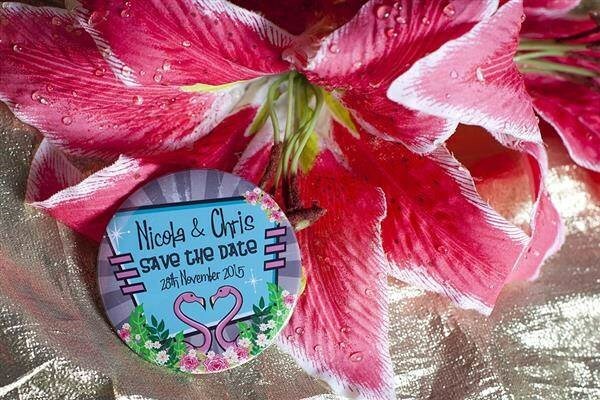 Do you have any tips or advice for brides, grooms or couples planning an alternative wedding? If you can imagine it, it can be done! Just because a Google search leads to a dead end, doesn't mean there isn't someone out there who can make your vision a reality! Find a supplier who appeals to you, and just go ahead and ask. I have had so many people start off a message with "this might sound silly, but..." and 9 times out of 10 they turn out to be the most exciting projects for me! Also, don't listen to anyone else. It is your day. If you want your cat to walk you down the aisle, or a ten foot tall, pink T-Rex behind you when you say your vows, go for it! Thanks for introducing us to some of your wonderful designs!